Here is a bunch of gorgeous premium roses in a box. Arranged in a box and delivered to their door in an ultimate romantic gesture. The box is arranged with 25 Roses. This can turn into the most beautiful and precious gift for your loved ones. It’s perfect for Birthdays, Anniversaries, Valentine’s or any special occasions. SKU: 1FLR008 Categories: Anniversary Flowers, Birthday Flowers, Christmas Flowers, Flowers, Valentine Flowers. 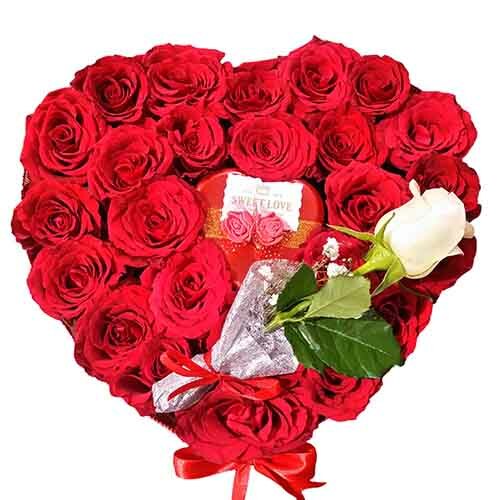 Tags: Dubai Flower Shop, Dubai online Flower shopping, Flower Box, Flower Delivery in Dubai, Flower Delivery In UAE, Flower Gifts Delivery In UAE, Flowers, Flowers Online, Online Flower Delivery, Online Flower Delivery In UAE.